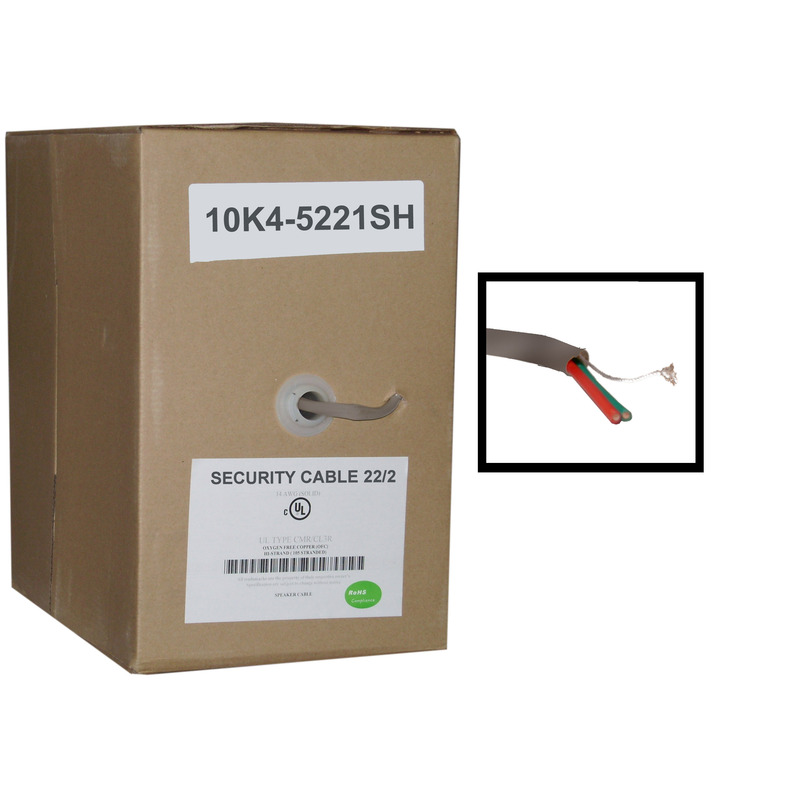 Our shielded 1000 foot gray 22 AWG (American Wire Gauge) 2 conductor stranded security/alarm wire comes in easy to use pull boxes. 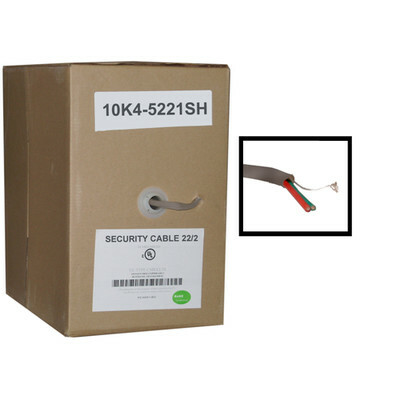 This wire is CM / in-wall rated; it is not intended for plenum or riser situations. The shielding is an aluminum mylar designed to prevent electrical interference in noisier environments from disrupting signals from devices.